The heart of the Woking Food and Drink Festival is held in Woking Town Centre, adjacent to Woking Shopping centres. This festival features over 80 stalls and spread across the town centre incorporating Jubilee Square, Commercial Way, Mercia Walk, Market Walk, Gloucester Walk and Gloucester Square. 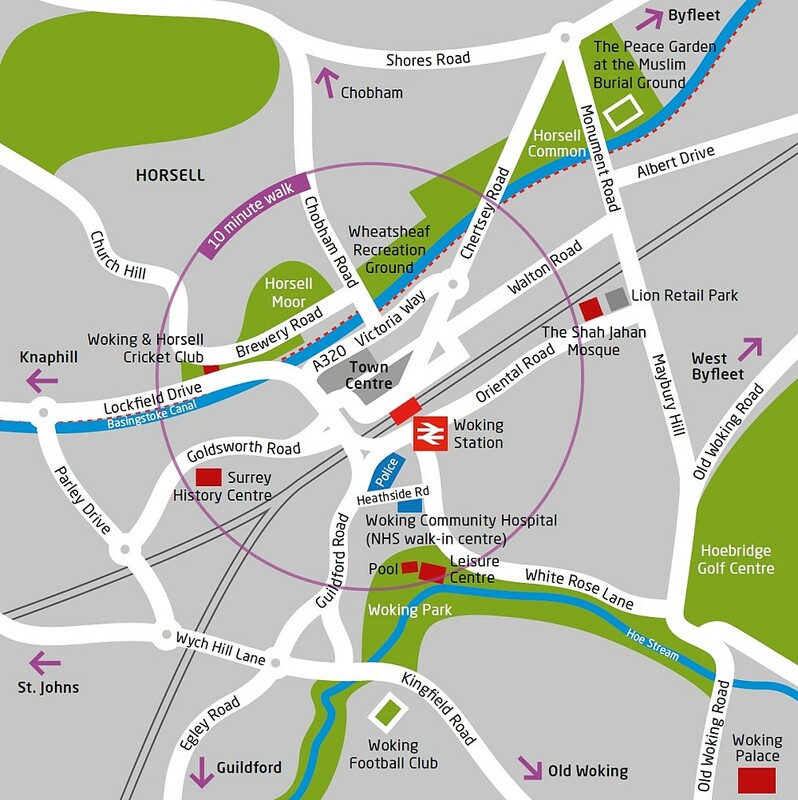 Woking Town Centre is within 10 minutes’ drive of the M25, M3 and A3. 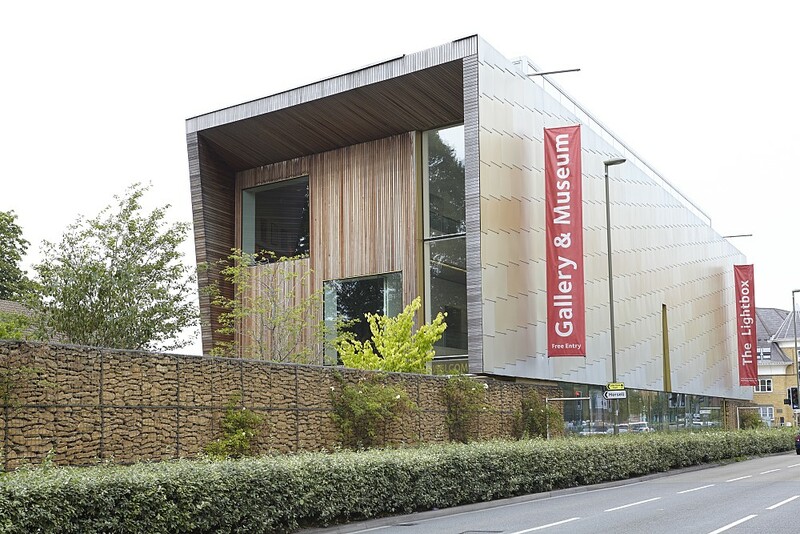 Parking is plentiful in Woking and is well signposted on the major routes into the town. Woking town centre is currently undergoing a multi-million pound highways improvement project to enhance traffic flow in the area and make it safer for pedestrians and cyclists. As a result, there are a number of diversions and highways management systems in place in order to keep traffic moving and able to access parts of the town and the borough. 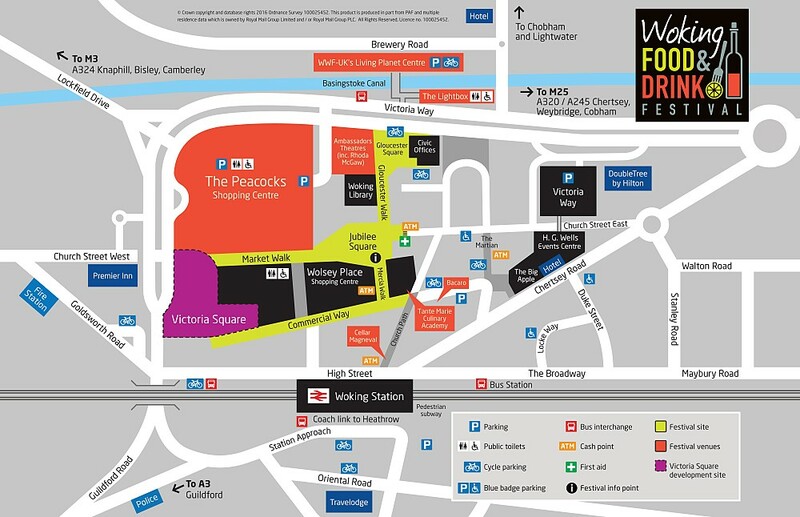 For the Shoppers' Car Parks (next to Woking Shopping and the New Victoria Theatre), enter the following postcode into your SatNav: GU21 6GB (Blue Car Park, Red Car Park, and Yellow Car Park). For the Victoria Way Car Park, enter the following postcode into your SatNav: GU21 8EW. For the Brewery Road Car Park, enter the following postcode into your SatNav: GU21 4LJ. For the Heathside Crescent Car Park, enter the following postcode into your SatNav: GU22 7AG. Please note that controlled parking zones operate in Woking Borough, which restrict on-street parking in the main town centre and residential areas. Woking benefits from a direct mainline rail service to London Waterloo and fast, regular services to the south and south-west of England, including locations such as Guildford, Basingstoke and Portsmouth. Trains depart to and from London at least every 10 minutes throughout the day and the journey to Woking takes under half an hour. South Western Railway online information. Woking is serviced by a comprehensive bus network managed by Surrey County Council. Find out more about bus services to and from Woking. National Express runs the Railair Coach to Heathrow, as well as others to locations further afield. Woking is home to a range of national and international hotel chains, which suit all budgets. When entering Woking Food and Drink Festival, you're entering areas where promotional photography, video and audio recording will be taking place. By entering these event areas, you're consenting to photography, audio recording, video recording, and subsequently the release, publication, exhibition, or reproduction, which may be used for news, webcasts, promotional purposes, advertising, inclusion on relevant websites, social media, or any other purpose by Woking Food and Drink Festival. If you do not wish for your image to be captured at close range by photography, video and/or audio and use for our promotional purposes, please visit the Festival Information Point in Jubilee Square to make yourself known and pick up a 'no marketing' identification sticker.